Nobody wants to return to the parking place where his car was parked and found that it had been broken into, or worse, found it was not there anymore. Sure, vehicles these days are equipped with improved security devices which were not available years ago. Alarms, immobilizers, GPS trackers, anti-carjacking devices, remote starters (and shutdown devices), and other devices could improve a car’s surviving chance against car crime. Car immobilizer is (or was) actually a great device to prevent car theft. It works as an electronic key pins in a keyhole (the code stored in the key) that match the grooves on a key (the code stored in the ECU). If the key electronic identification matches the code stored in the car’s ECU, the engine can run. It is supposed to be very difficult to hack. But being electronic also brings out problems. Just as a physical conventional key system get hacked, it can also be hacked, only now electronically. This is where the issue emerges. The immobilizer hack is done electronically where car thieves use electronic devices to hack into the system. It does not need lots of muscle or brain work to hack into it. And the cases of theft on cars with immobilizers have started to increase. It is more evident that relying on immobilizers alone is not a good idea. No security measures, including against car crime, are totally crime proof. But you increase your chance against car crime using several ideas or even common sense. 1. Keep valuables out of sight. People can’t steal what they can’t see. Keep any valuables or anything which attracts people on the car out of sight. Electronic devices, phones (a very enticing target), even money should be kept away from sight of passersby, let alone, criminals. 2. Avoid parking in suspicious spaces. Look around when parking. Try to find parking space where there is lot of people passing by. Avoid parking in dark, cornered areas, where it is easy for thieves to pick on your car and get away without being noticed. Do not park near suspicious people, in particular if they insist that you park at a specific area. 3. Make the car disappear among the crowd. During parking, do not park where your car will stand out in the environment, or among other cars. Park among the cars where the car would look less enticing. Thieves tend to break into or steal cars which will give them higher benefit for the same effort. 4. Install a good aftermarket alarm. A good aftermarket alarm can also improve car security. When installed correctly, an aftermarket alarm will be specific to your vehicle, thus it does not have the common standard wiring scheme that many thieves might have known about. Some of these might also have an anti-carjacking device which will cut ignition if the car is taken from its owner by force. Just remember that installation quality is very important for an aftermarket alarm, so it does not interfere with the vehicle standard electronic or safety devices and is not easily defeated. Or best yet, install the alarm yourself. 5. Make your own cutoff device. 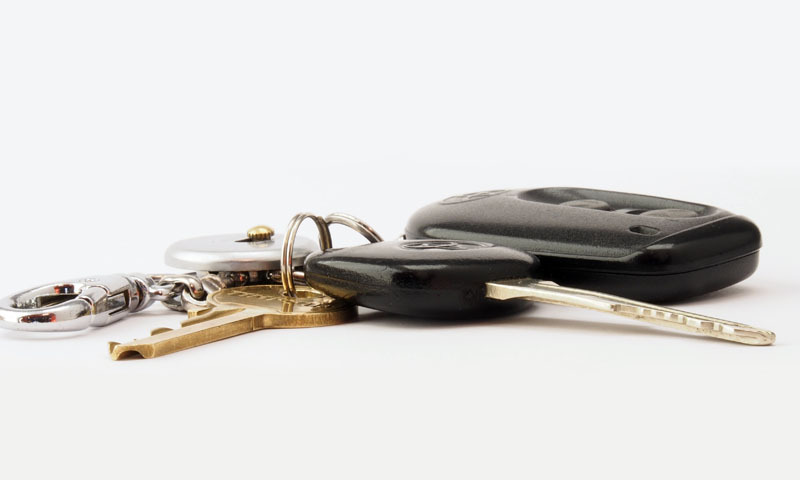 A carefully hidden cut-off switch can help confusing a car thief during a crime act. Again, be careful when making this to prevent it interfering with the car electronics. And a cut-off switch should not be installed where it can easily be found. It must also be made while keeping safety in mind, in particular considering current load on the cut-off switch or wire. Look around for any suspicious situation once and a while, especially before and upon leaving the car, and when approaching and entering the car. Do not make yourself an easy target. If you are worried, especially for women, ask for help from a security guard or somebody to accompany you to the car. Do not forget to lock your car upon leaving it. Pay attention when doing this. To many drivers, leaving and locking a car has become so routine that they sometimes forget that the car has not been locked. Caution should also be taken when using car remote controls. Thieves have been known to use signal jammer /pick up devices to unlock cars. Always check that the car is really locked after locking and unlocked after unlocking action. If any suspicious condition is found, take required actions to unlock the car and lock it manually (this prevents signal pickup). 7. Get the steering wheel lock device back! A steering wheel lock, or other physical device that needs lots of muscle work to allow the car to run can also be useful. 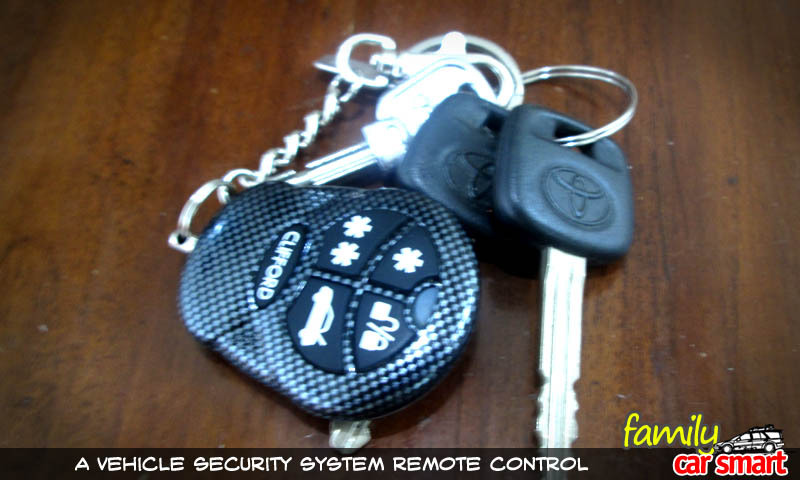 It is a plain-sight crime prevention device which adds time for a car thief to defeat. The criminals might prefer other vehicles other than the one that uses a steering wheel lock. I hope this tips can help us all. If you have any suggestion, idea, or comment, do not hesitate to leave it in the box below.